2. Click the Settings icon near the bottom of the main nav (icon is a gear). 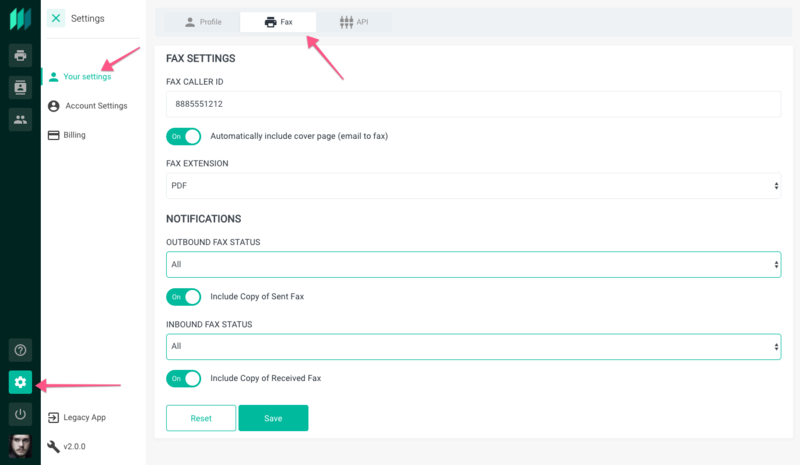 Use the dropdown menus under Outbound Fax Status and Inbound Fax Status to set notifications to either ALL, SUCCESS, or FAILURE. Use the slider below to choose whether or not to include a copy of the fax attached to the notification email.